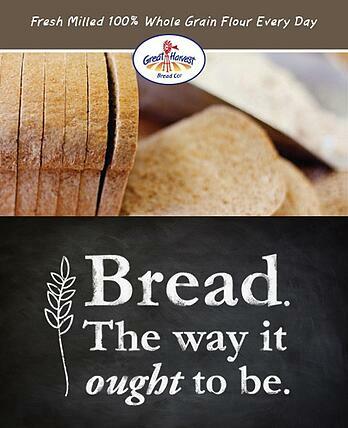 Why do Great Harvest whole wheat products taste so amazing? There are many reasons, but in part, it’s because we mill all of our 100% whole wheat flour on-site daily. 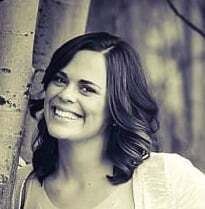 Often, the flour that goes into your store-bought loaves of bread is months old; at your neighborhood Great Harvest Bread Co., they likely milled their Montana-grown whole wheat kernels into fresh flour yesterday. As soon as a wheat kernel is ground, the nutrients start to deteriorate. That is why we use our freshly ground flour within 48 hours of milling so we can get the nutritional value, flavor and quality we want in our bread. It’s really that fresh! There are several types of commercial mills we use in our Great Harvest bakeries, but the most common variety is a stone mill. Stone mills use two heavy stones (a bed stone and a runner stone) to grind grains. Like baking, milling itself can be an art. 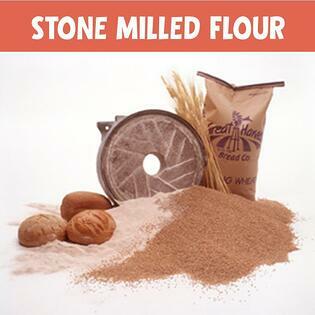 Stone mills require ongoing adjustments and maintenance to produce flour of the desired quality. While stone mills can produce some of the highest quality flour available, the millstones require routine care to ensure the product quality does not deteriorate. This process is called millstone dressing. Millstone dressing is an ancient process that has remained largely unchanged for thousands of years. The introduction of power tools to help with the dressing and hydraulic lifts to help lift the heavy granite stones are the primary changes in an age-old process. • The “lands” are the flat surface of the millstones. • Using a carbide pick or a professional straight body air hammer, the miller will begin roughening the lands to remove any high spots from the stones. High spots are undesired because they create inconsistencies in the product and over time lead to flour becoming too coarse for baking. • When the lands are roughened, they are evenly painted with a food-color based paint. The stones are then put back in place; the mill is reassembled and turned on with the stones not touching. The miller will adjust the runner stone until it touches the bedstone for one to three seconds, and then back it off again. They will repeat this process for three to five minutes. • After the stones have been adjusted, the miller will disassemble the mill and examine the surface of the stones for areas where the paint has been scraped away. These are the high spots in the stones that must be removed so the two millstones will once again be perfectly aligned. The miller will once again use a pick or air hammer to go over the lands in areas where the paint has been removed. They will repeat this process and the touching of the stones several times until all paint on the lands has been scraped away, at which point the stones will be considered dressed. • The “furrows” are the groves in each of the stones. • After the stones are dressed, the miller will sharpen the furrows in the stone using a carbide pick or an air hammer. At the center of the stone, the furrows should be 1/6 – 1/8 inch deep. At outside edge, furrow should be even. At the edge of the stone, the furrows should be even with the outside of the stone. This will allow the flour to flow properly across the stones. 3) Enlist the services of Hank Duncan of Stone Mill Sales & Services from North Wilkesboro, NC. Most of our bakery owners chose to utilize the professional skills of Hank Duncan for mill dressing. The Great Harvest Franchise office works with Hank to coordinate a schedule so he can visit bakeries in various regions annually and dress their mills. He also comes up to Dillon, Montana to dress our mills in the franchise office and was here last October. Many bakeries look forward all year to his visit. His thick North Carolina drawl, the smell of freshly worked stones and his endless knowledge of mills and milling is a welcomed annual occurrence for bakery owners. This short clip shows Hank Duncan demonstrating stone mill service and millstone maintenance. This seven-minute clip demonstrates the old-fashioned process of dressing oatmeal millstones at Montgarrie Mill in Alford, Scotland. This 27-minute video from Meadows Mills demonstrates the proper method for dressing the millstones used in Meadows Stone Burr Mills. Meadows Mills is a major provider of mills for Great Harvest Bakeries. Whole Grains Rock! But Can I Be a Whole Whole Grain Bakery?